Understand how career and vocational education offers many adults an alternative education that can quickly lead to a good job. Representing the views of more than 3,200 recent graduates from a random sample of some of the nation's leading career education institutions, this study looks at the career and wellbeing outcomes these graduates experience, as well as the academic support activities from instructors and staff which can lead to even stronger outcomes. The report details the 62% personal income increase graduates report after completing their schooling, aspects of workplace fulfillment, and the role the career placement office plays in helping graduates quickly and effectively find postgraduate employment, both for graduates overall and for key subpopulations such as underrepresented minorities and service men and women. This report can benefit administrators and staff from career and vocational schools to help them understand what aspects most positively impact graduate outcomes, and also those considering educational options to see if the benefits reported by career education institution alumni align to their needs. 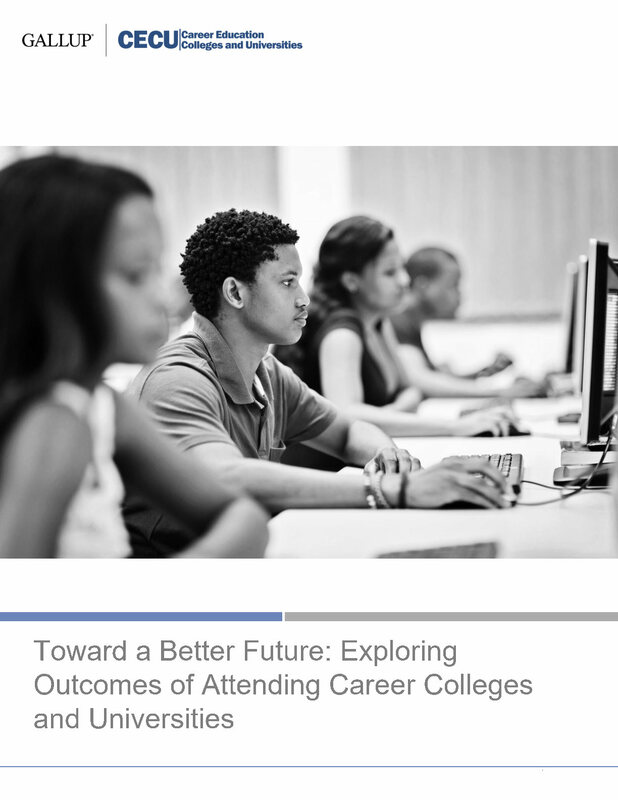 To download the report Toward a Better Future: Exploring Outcomes of Attending Career Colleges and Universities, please fill out the form below to receive an email with a link to a PDF of the report. Someone from Gallup may also contact you via email about your interest in this topic.